The Essence of Angels® Workshop is a life changing journey of self-discovery and a gentle yet powerful path of embracing the Angelic Realm from within. Drawing on ancient wisdoms and knowledge you will learn to connect with the Archangels energy and use the Essence of Angels® range to raise your consciousness and vibration on all levels of your physical, emotional and spiritual, enabling healing of yourself, your family, friends and Mother earth. Whether you attend this workshop for your own personal development, or to graduate as an Essence of Angels® Practitioner, this event will accelerate your spiritual development and awaken your intuitive and psychic abilities in a nurturing, peaceful and loving setting. When students embrace the Essence of Angels® wisdoms they learn how to incorporate this healing modality into their own lives, and can integrate these wisdoms or into their own professional business. Who should attend the Esence of Angels® Workshop ? If you are passionate about your own personal development, have a strong soul urge to understand more about Creation, or wish to promote healing of your physical mental and emotional levels, or to fulfil the highest level of your Soul Purpose here on Earth, then this is the workshop for you! Whether you are a novice, natural therapist, a coach or have years of experience working with crystals and/or Archangels, or are a holistic health professional, this workshop will take your personal and professional growth to the next level as you master the divine elemental templates of Creation of the Archangels. The Essence of Angels® workshop is a two day event where we journey through each of your 12 Chakras / Archangels of Creation to awaken your conscious connection with your higher-self, heal past life traumas and connect with potential future gifts. There are lots of practical exercises, group work and time to answer personal questions. Students learn how to work with the Archangels to promote healing, optimal health, mental clarity, emotional balance and facilitate spiritual enlightenment. Whilst we use the Essence of Angels® vibrational essences (and other vibrational products) throughout the workshop to awaken participants DNA, and to expand your conscious connection with the Archangels, students also learn how to work with this healing modality without the use of vibrational remedies for healing. On completion of the workshop you will receive a Certificate of Metaphysical Healing - Essence of Angels® Practitioner from Universal Life Tools (ULT) and qualify for registration on the ULTMSH Practitioner Register. The Essence of Angels® Practitioner Course is also fully accredited with the IICT, thus Essence of Angels® Practitioner graduates can join the association and receive further benefits such as professional indemnity insurance. This workshop is also available via self-study, for those unable to make it to a face to face event. Please note: When students graduate you will receive notification from the Founder of Universal Life Tools of your graduation and receive your Essence of Angels Practitioner Graduate Certificate along with an offer of special discounts and for you to enrol on the ULTMSH register. 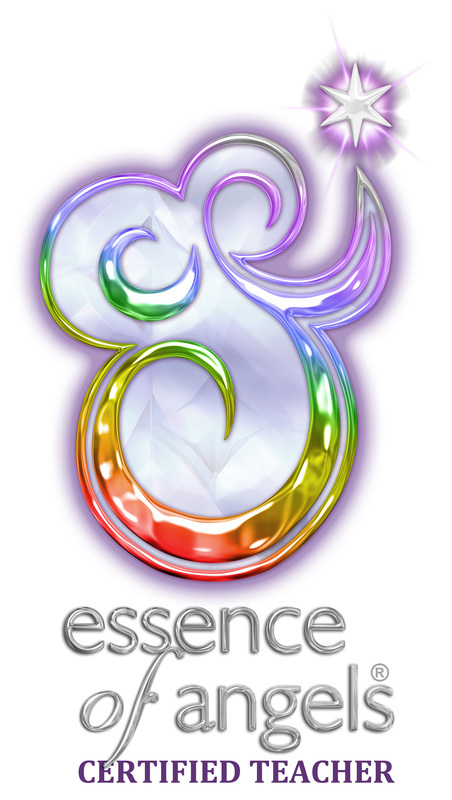 Essence of Angels® Workshop is founded by Simone M. Matthews, Metaphysical School of Healing, Universal Life Tools. To learn more about the global healing modality Essence of Angels® and ULTMSH please visit Universal Life Tools website. A Deposit of $100 will secure your booking today! Click on the Image >>> essence of angels and you can view the detailed Brochure. You also have the option of saving a copy. Re-connecting people with the infinite power of their soul. The Essence of Angels® workshop is a life changing journey of self-discovery and a gentle yet powerful path of embracing hte Angelic Realm from within. This Brochure will assist you with more information on the Essence of Angels® Workshops and what we explore and discover. The Workshops are facilitated by myself, Vicki Anderson as a Certified Metaphysical Practitioner and Teacher of Essence of Angels® trained and authorised by founder, Simone M. Matthews of Universal Life Tools, Metaphysical School of Healing.